'Catchy and engaging!' Macie Callewaert. 'I loved, loved, loved this book!' Petra Quelch. 'I loved the story as it followed the highs and lows of mothering' Natasha Brett. 'A relatable and hilarious read that I devoured in one sitting' Lindsie Gatto. 'I thought this was a beautiful and accurate representation of what it must feel like to be a mother' Whitney Meyer. Great first Noval. Felt I could really relate to so much of the story. Already trying to google when the next will be released. Well done Louise. I really enjoyed this read. Followed Louise from very early on and so happy to see how successful she is becoming! I have followed the author’s blog for the past year or so and therefore I was very excited to read her debut novel. I am pleased to say that I was not disappointed! Louise has created a warm and relatable character which every mother can sympathise with. 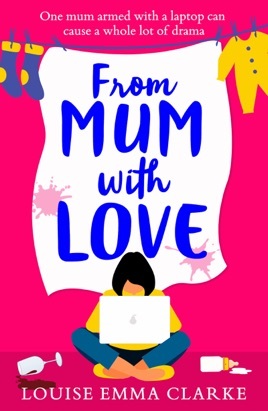 From the commando crawling out of the baby’s room at night to the tipsy ranting with fellow sleep deprived mothers, she has created a story filled with laughter and tears whilst being intertwined with moments of deep reflection on how quickly our babies grow. I thoroughly enjoyed the book and devoured it in 24 hours! Looking forward to the next book!